New Starter Pokémon Revealed For Sun & Moon – It’s Evaluating Time! So, we got three new Pokémon to talk about (because we don’t know jack about the new Legendaries), so let’s discuss. First off, here’s the trailer. And now for the individual Pokémon. Rowlet, the Grass Quill Pokémon. It is a Grass/Flying-type, and appears to be based on an owl by its design and the way it turns its head 180 degrees. At 3.3 lbs. (1.5 kg), it is the lightest of all Starter Pokémon, and it is the first Starter since Bulbasaur to be dual typed without the need to evolve. It also apparently knows a new attack called Leafage. The power and effects of this move are currently unknown. For now, Rowlet’s actually kind of awesome looking, and might be the Starter I go with for my own journey, though I think I’ll wait and see what other new Pokémon there are and what they’re like. Litten, the Fire Cat Pokémon. It’s a pure Fire-type, and looks to be kind of a sassy cat to me. Also, based on the black of its fur, I wouldn’t be surprised if it evolved into a Fire/Dark-type, and while that’s not a new typing, it IS new for Starter Pokémon, as is Rowlet’s Grass/Flying-type, and could prove to be a natural rival to Houndour. Also, as many have speculated over the years, the different Fire-type Starters have been based on the different animals present in the Chinese zodiac. While they don’t all match up 100% perfectly, we can assume that Charmander is the Dragon, Cyndaquil is the Rat, Torchic is the Rooster, Chimchar is the Monkey, Tepig is the Pig, and Fennekin is the Dog. If that’s the case, then Litten must be the Tiger. So that means we still have a horse, a goat, an ox, a rabbit, and a snake left for Fire-type Starter Pokémon, which would further suggest that there are at least five new Regions left. Popplio, the Sea Lion Pokémon. It’s a pure Water-type, and seems to be the most fun-loving of the trio from its design and some of the official artwork that’s been presented thus far. Wouldn’t mind seeing it evolve into a Water/Fairy-type, honestly. 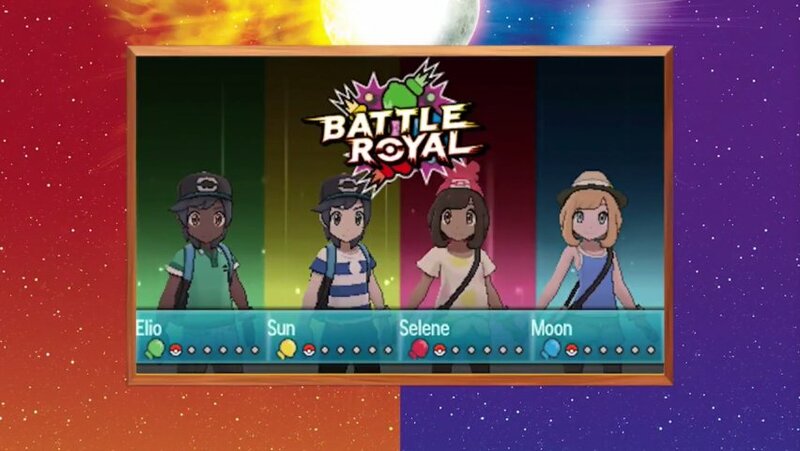 I’m a little surprised we didn’t get a Fairy-type Starter last generation, since X & Y were the games to present them, but then again, going with Fighting, Psychic, and Dark-type secondary types DOES further the rock, paper, scissors feel for the Starters. So, if we go by my theory that each Starter for every game falls into the category of cute one, cool one, and wacky one, then Popplio is probably supposed to either be the cute or wacky one. Maybe a little of both, really. 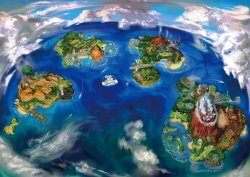 Lastly, I guess I should talk about the fact that this new Region, Alola, is pretty blatantly based on Hawaii, so whoever guessed that when we saw the early artwork in the first trailer, you were all right on the money. You can see the inspiration everywhere, even in its name. Although I kinda hope the above image is only PART of the new Region. Otherwise, it looks pretty small compared to other places we’ve been in the Pokémon World. Also, while I don’t know anything really meaningful about the new Legendary Pokémon, not even their names, I DO rather like their designs, and I’m not exactly gonna be surprised if the lion is Fire-type and the bat is Dark-type. Anyway, that’s all I had to say. I will leave you with this second trailer released, and hope you all leave your own thoughts on these new Pokémon. Pokémon Sun and Moon come out in November, so it’s not gonna be a very long wait, but expect me to cover every bit of information that I can as it’s made available. Ja né, and train on!